One of the many joys of traveling is to experience something for the first time! 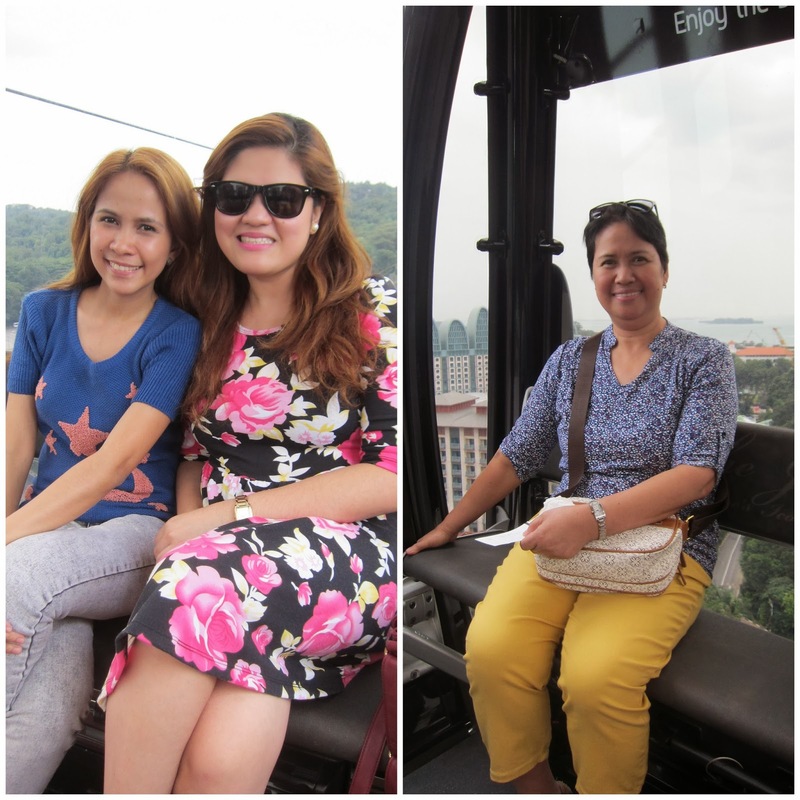 Singapore Cable Car is one of my first times! 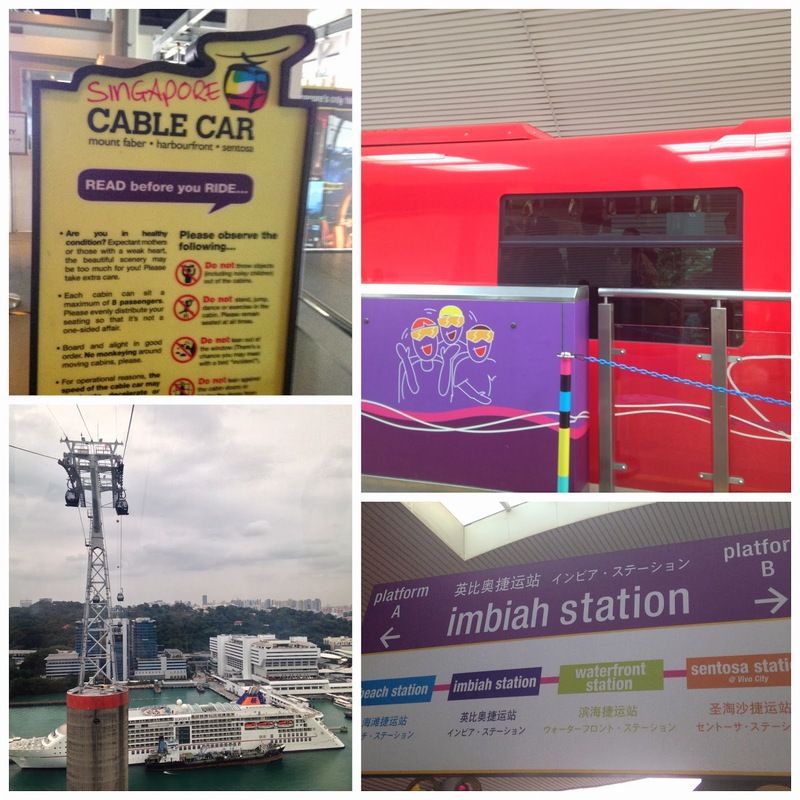 I'm actually a second timer in Singapore since I've visited the place June of last year, however - this is my first time to explore their cable car. In case you're taking their MRT, you have to alight to VIVO CITY station. This station has an exit to VIVO CITY Mall. Go up 4 floors and ride the Sentosa MRT, finally alight at IMBIAH Station where you can purchase your tickets and stroll around the place. I'm guessing it's between Php 500 to Php 700. Be sure to pay in SGD. Conversion as of this writing is somewhat Php 35 = SGD 1. You also have to pay a minimum fare for the Sentosa MRT. If you'll ask me if it's worth it, I'll say yes since I'm after the experience. 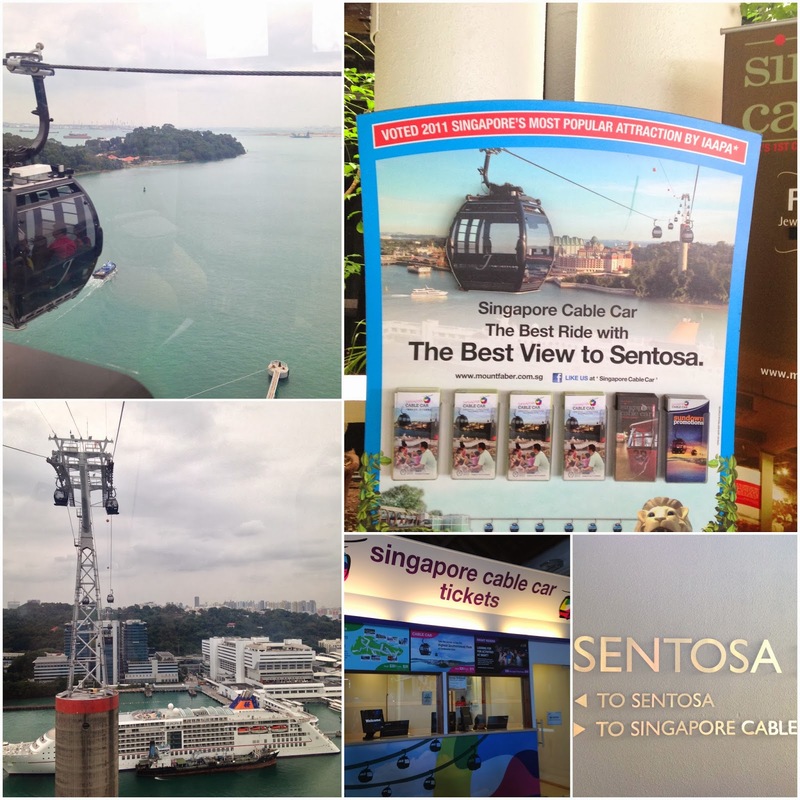 It's shorter than that of Hong Kong's cable car in Ocean Park, but nonetheless I enjoyed the journey. If you're afraid of heights, I think you still can do it. 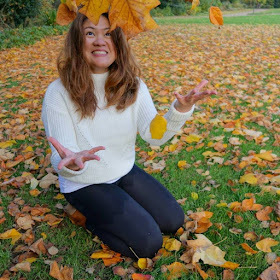 Take it from mommy who's acrophobic, but still managed to got the hang of it. Did I enjoy the ride?